Misaligned teeth can lead to decreased confidence in your smile, but they can also affect your oral health. Crowded and misaligned teeth may increase the risk of gum inflammation and gum disease, create an increased risk of tooth decay and cause jaw pain. If you have misaligned teeth, orthodontic treatment can correct your malocclusions and bring your teeth into healthy alignment. Invisalign is one orthodontic treatment option you may have to help you achieve the smile you have always wanted. Invisalign clear plastic aligners are custom-made removable aligners that can straighten your teeth painlessly and subtly. They are virtually invisible, allowing you to receive the treatment you need privately and without embarrassment. Because the aligner trays are removable, you can keep your teeth clean and healthy throughout the treatment process by brushing and flossing just as you normally would, and you can continue to enjoy all your favorite foods. 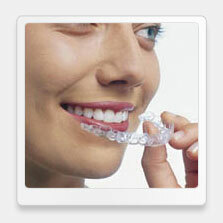 Unlike traditional braces, the aligners are made without brackets and wires, making them more comfortable to wear. The trays are worn for two-week periods, after which you simply insert a new tray. Your treatment plan will be mapped out ahead of time, meaning you can enjoy fewer visits to your orthodontist. Invisalign aligners may not be appropriate for correcting all types of malocclusions. Severely misaligned teeth or rotated teeth may require traditional braces. Our cosmetic dentist in West Hollywood can help you determine if clear aligners may be right for you. Contact our dental office today to schedule your consultation or learn more.